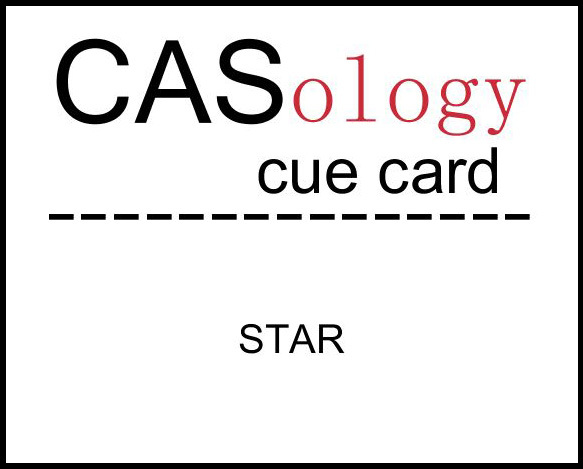 This week's CASology Cue Card is Star! 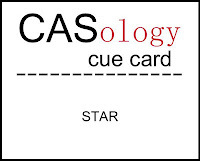 I love Christmas, and I'm really looking forward to it, but I admit to becoming a bit 'done' with making Christmas cards, so I was happy to interpret this cue card in a non-Christmas way! This is an old Michael's sentiment, masked so that the row of stars could fit in between the words. The precise angle of the stars was achieved by drawing a vertical line on the panel and then stamping them straight up and down from the top and from the bottom, before turning the panel on the side and adding the tiny little sparkly star (Stampin' Up Silver Glimmer Paper, cut from a Martha Stewart border punch). Now it's time for your star to shine! Show us what 'star' means to you! Don't forget to link up by Sunday at noon (CST)! Leave it to you to create this awesome graphic star border, fantastic! This is wonderfully suberCAS, Ardy, and a keeper in the faves for all those times when the kids or grands could use EXACTLY this card!! Love the font on the sentiment. Just reading your post, amazed at the attention to detail in lining up the stars, and you've used one word that sums up your technique - "precise"! Great card, of course. I'm still in Christmas mode, and will be for some time after, even though I've made all the cards I need for this year. I just keep going till the ideas stop, then I have a head start for next year! another fabulous take on the cue word, ardyth!! ...followed shortly thereafter by "how in the heck did she get the stars so perfectly lined up?" Then I gave my head a shake and reminded myself that...hello...this is the Queen of Stmaping we're talking about here! Love the wee sparkly guy - he really lights up the row! Like Geri, I was initially so impressed by the line of stars, but I have to say you have set the bar high for yourself and that did not totally surprise me. What did surprise me is your selection of colors. How did you pick them? Line them up and move them around? Because they completely and perfectly move your eye inward to the sparkly star. Genius!! ACK! 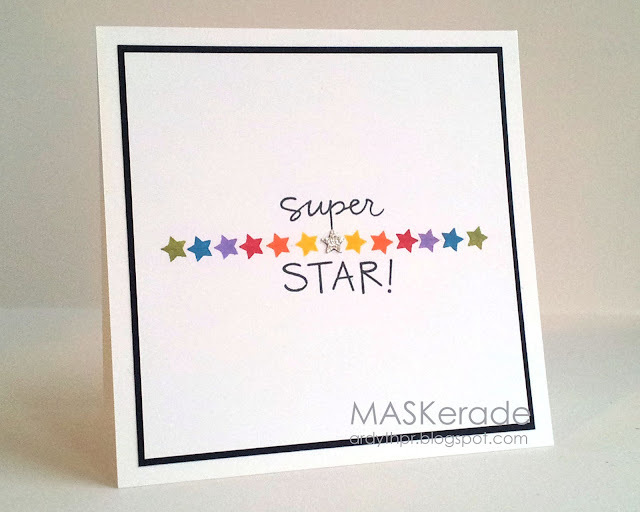 I love those colorful stars all lined up with a little sparkle in the middle! Adorable!